2012/2 - Blog - Count On Tools, Inc.
Count On Tools Inc., a leading provider of precision components and SMT spare parts, announces the appointment of The AdoptSMT Group as its newest distributor for the European electronics manufacturing market effective March 1, 2012. The Count On Tools name is well established in the global electronics manufacturing industry thanks to its strong support of leading EMS companies and component manufacturers worldwide. The company’s reputation as an expert in the field of custom engineered nozzles, and its long partnerships with knowledgeable and experienced distributors has helped COT to win the support of many key players in the industry. The partnership between COT and AdoptSMT is an ideal combination between two companies that are totally committed to making the best products and services available to the market. COT’s products will complement the AdoptSMT Group’s current selection of refurbished machines and spare parts assortment, further strengthening the AdoptSMT Group’s position as the leading source for quality used SMT equipment in Europe. “As the European Sales Manager, I am glad the agreement with Count On Tools covers all of Europe, so that all of our sales engineers throughout Europe can represent their complete product range,” added Günther Breckner of AdoptSMT Europe GmbH. The AdoptSMT Group will now be contacting COT customers throughout Europe, both new and old, to discuss the new range of exciting COT products, services, and promotions. For more information, contact Erhard Hofmann at +43-6246-72440 or on the Web at www.AdoptSMT.com. Count On Tools Inc., a leading provider of precision components and SMT spare parts, announces that it will introduce its contract manufacturing division at the upcoming Design-2-Part Show, scheduled to take place March 28-29, 2012 at the Cobb Galleria Centre in Atlanta, GA.
Company representatives will be on hand to explain how Count On Tools is a single source supplier for all of your precision manufacturing needs. COT is a precision component manufacturer specializing in CNC Swiss Automatic Machining. Whether you need fast turnaround, single parts, small lots, large quantities or a long-term supply with on-time deliveries, COT supplies the highest quality and service. The company’s commitment to excellence is shown through its design and manufacturing processes. COT offers a variety of small job shop services and materials. Count On Tools also will exhibit its other company divisions, including SMT replacement tools and consumables as well as its line of Swiss-made hand tools by PB Swiss Tools. 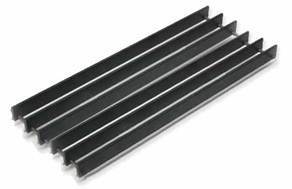 For more information about Count On Tools’ products and services, talk to company representatives at the Design-2-Part Show or visit www.cotinc.com. Count On Tools Inc., a leading provider of precision components and SMT spare parts, announces another expansion of its manufacturing operations at its Gainesville, Georgia headquarters. The recent expansion is in response to the growing market for SMT nozzles and consumables as well as the increased demand for its precision contract machining services. 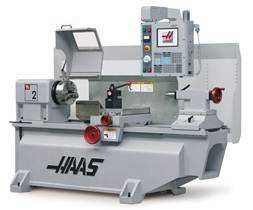 According to company representative, Zach Shook, COT recently purchased a Haas TL-2 Toolroom Lathe. The new lathe combines the functionality and simplicity of a manual lathe with the power and flexibility of the easy-to-use Haas CNC system. With standard hand wheels and high-accuracy DRO, our machinists can start cutting parts in minutes. Additionally, with the Haas Intuitive Programming System, the company can transition quickly and easily into automatic modes and full CNC. The industries COT serves count on accuracy of part specifications and on-time delivery of their orders. This new machine will help COT achieve both. Additionally, the new machine handles jobs faster by providing COT with increased production speeds and faster processing power on larger parts. “This new equipment helps us to produce tight tolerance, precision components quickly and consistently,” said Shook. “As a result, we can now respond to changing customer needs faster and at highly competitive costs." As a contract manufacturer, COT and its experienced, knowledgeable management team strives to provide a full line of services to its customers and to continue meeting customers' demands both now and in the future. Count On Tools Inc., a leading provider of precision components and SMT spare parts, has introduced the latest version of its revolutionary StripFeeder System for loading tape-and-reel components onto compact modules for prototyping and high-mix low-volume applications. The new Modular StripFeeder now features adjustable rails to accommodate a wide array of components in the same feeder. Unlike the fixed width version, the modular StripFeeder can be adjusted by unlocking the rails and sliding them to the desired width. The innovative design holds the components securely in the tracks to prevent parts from being miss-picked, flipped in the pocket, or lost. Customers also can remove rails to accommodate larger components up to 120mm tape width, and larger in some cases. The new StripFeeder systems are a cost effective way to load many components in the machine without having to purchase expensive feeders. The quick-to-assemble, easy-to-install modules are designed for quick loading of tape-and-reel components on existing SMT pick-and-place equipment. Additionally, the trays enable fast changeover between product runs without unloading from the machine. The StripFeeder trays are compatible with both paper and emboss tape simultaneously, and are ideal for low-volume high-mix applications and prototyping. Additionally, the trays are compatible with any style SMT pick-and-place equipment or JEDEC-style tray feeders. Count On Tools Inc., a leading provider of precision components and SMT spare parts, announces that it has added a Laser Marking & Engraving capability to its manufacturing operations at its facility in Gainesville, Georgia. The recent expansion is in response to the growing market for SMT nozzles and consumables as well as the increased demand for its precision contract machining services. According to company representative, Zach Shook, COT recently purchased a Keyence 3-Axis 30W Fiber Laser Marker. Touted as the world’s smallest marking unit, the Keyence Laser Marker’s fan-less architecture, 3-axis beam control, 30 watt output power, and built-in power monitor give it an unrivaled advantage amongst industrial laser markers. 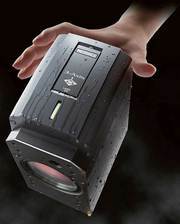 Surpassing the competition, the Keyence Laser Marker delivers a full 30 watts of power directly on the target surface, ensuring that dense, hard metals can be permanently marked and etched in a matter of milliseconds. The ultra-small head offers the smallest footprint in its class, allowing for quick, easy installation in tight spaces. The Keyence Laser Marker’s head is completely sealed off from dirt and dust, making it ideal for metal processing and other harsh industrial environments. This provides greater stability, reduced maintenance, increased productivity and more mounting possibilities than ever before. Together with newly developed software, the Keyence Laser Marker offers the ideal combination of marking quality, speed, and ease of operation to meet the stringent marking requirements of today’s industries. Mark permanence – Once applied, a laser mark remains with the product for life. There is no chance of fading or falling off. Graphic flexibility – Any type of logo, bar code, 2-D data matrix bar code, patent number, trademark, alpha-numeric, icon, symbol, or graphic design can be applied in almost any shape and size. With the 3-D mapping capability, COT can mark across the part profile. Process repeatability – Based on the programmed control and high positioning accuracy of the laser, all markings repeat from part to part. Non-contact process – Allows for all shapes from flat to concave to convex and cylindrical to be marked with no tool wear and low influence on the material. High resolution – Very demanding and complex marks can be produced with clarity and high readability down to character sizes from 0.004". Incremental marking – Progress part serialization and sequential number processing is computer controlled with no part to part setup. Environmentally friendly – The process is self-contained and generates no waste products. High speed – Assures fast turn-around time and cost effective marking because of pre-programmed computer controlled processing movement from piece to piece and design to design is seamless. Superior quality and accuracy – Because of the precise nature of the fiber laser beam and the computer controlled marking setting quality and accuracy are maintained throughout the order. Material flexibility – Ferrous and non-ferrous metals and plastics can all be marked with the same designs generated from preprogrammed setting that adjust the laser to meet the engraving, annealing, etching, or color change requirements of the material. Count On Tools Inc., a leading provider of precision components and SMT spare parts, announces the release of its newly redesigned ezLOAD PCB support system with modular frame. With the recent increase of densely populated double-sided circuit boards, COT recognized the need for more affordable board support options in the electronics manufacturing industry. The end result is an innovative design that is not only easy to setup and install, but also offers industry-leading benefits to EMS companies and contract manufacturers worldwide. The newly redesigned ezLOAD PCB support system from COT features a new extruded aluminum base. The system not only reduces changeover times, but improves product build quality, increases revenues by providing significant cost savings, and can eliminate component damage during the assembly process. 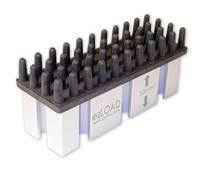 COT’s new ezLOAD features active grip technology to securely hold boards during the assembly process. It protects components while allowing the boards to move freely through the assembly line. Also, with the basic universal design, there are no mechanical functions to fail. The system requires no air, electronics, or communication from the user. The magnetic locking base enables a quick and easy installation. Other base designs are available for non-magnetic tables. Most importantly, the ezLOAD PCB support system is affordable compared to competitive products on the market. The ezLOAD PCB support system is compatible with any SMT equipment, from pick-and-place to chipshooters, screen printers, dispensers, AOI, and more. It is extremely durable thanks to the soft, flexible design, and is proven to be reliable after testing in the most hazardous conditions. The ezLOAD PCB support system is customizable depending on machine requirements, specialized components, or specific design application requirements.